Here’s one for the Pictures Of You fans out there. The recently new Working Dog show that was broadcasted on Channel 7 in 2012 is heading to the stage at the 2013 Melbourne International Comedy Festival. Hosted by Brian Nankervis, who also hosted the TV show, will bring various and popular comedians to the stage, to talk about the pictures that represent a time in their life. From child birth, to teen years, and until most recent, each show will be unique to the comedian at subject. Working Dog are even encouraging audience participation where you may appear on stage with a photo from your past. 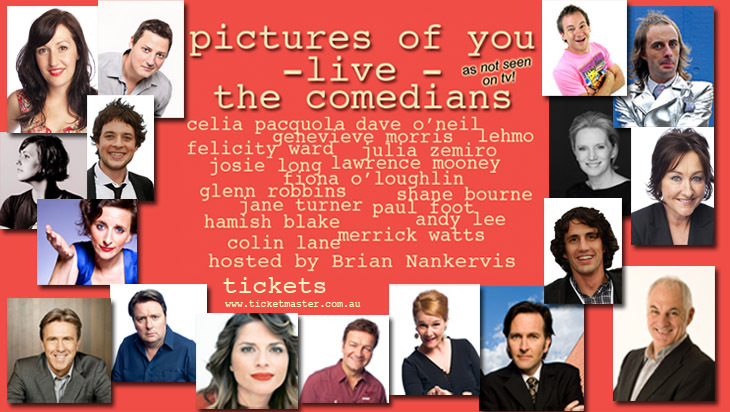 Details are on the MICF Pictures Of You site. If you love the show so much and missed it when it was on TV, you can now purchase all 10 episodes of Pictures Of You on iTunes. So if your favourite comedian, entertainer or personality was featured in an episode, you can see it all again… plus others. Purchase the show on iTunes here.